SWBI is proud to announce the launch of its incubation lab. We have assembled a team of leading practitioners in the industry to create an environment where our customers can “try before they buy”, to define and test their future data strategy in a contained and managed environment, we call this “your virtual sandbox”. 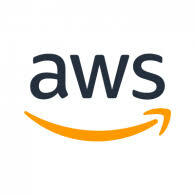 Our engineers have built an AWS environment to allow for the rapid creation of the various domains our clients wish to explore. We can guide you through the entire process and work with you to define measurable use cases in order for you to decide whether the transition to the new world of data analytics and cloud computing is for you. Typically, a PoC takes 20 days to conduct, therefore, your investment is manageable and effective, every step of your journey will be with our experts who will transfer their knowledge to you throughout the project. In fact, your solution will be fully documented and can form the blueprint for your future development.